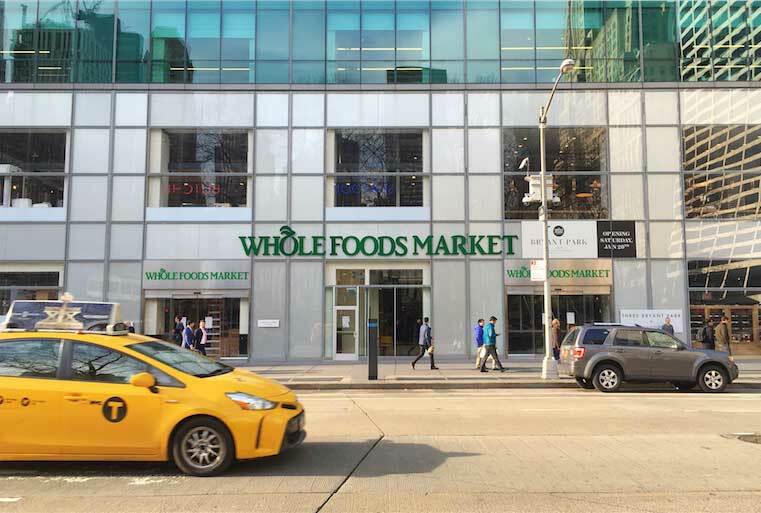 Whole Foods Market opened its new Bryant Park store, located at 1095 Avenue of the Americas in New York City, on Jan. 28. According to the grocer, the Bryant Park location will cater to the neighborhood’s Midtown crowd with its prepared culinary offerings from some of the city’s chefs and producers. The 43,000-s.f. store features two levels of retail space with a full range of natural and organic goods, as well as the “News Agency,” a coffee and juice bar. That space will open prior to the general store opening each morning at 6:30 a.m. to accommodate commuters. The grocery store will open each day at 7 a.m. and close at 11 p.m.
• Frankies Spuntino, a namesake restaurant venue featuring a selection of the duo’s Italian classics, including fresh salads, sandwiches and housemade pastas. • Kano by Genji Sushi, offering shoppers traditional Japanese omakase at various price levels. • Harbor Bar, a raw bar featuring a signature menu item created exclusively in partnership with Chef Daniel Boulud as well as oyster towers, lobster rolls, seafood-centric small plates, 24 beers on tap, draft wine from Gotham Project and a full cocktail menu. • Simit + Smith, a local purveyor with a cart dedicated to serving Turkish-style breads. • Seed + Mill, a cart featuring tahini goat milk ice cream and a tahini mill, which churns out jars of fresh tahini. The store also will feature pizza, a toast venue, an espresso bar—in addition to its News Agency coffee and juice bar—and a variety of quick-service kiosks where food orders can be placed through digital ordering.